12 inch Cast Iron Classic Deep Dutch Oven Prepare even more delicious, hearty meals with a classic deep Dutch oven. This eight quart, 12" deep Dutch oven will give you more space for any of your family favourite recipes. Now, the most popular Dutch oven size will feed even more people. Part of Camp Chef's commitment to producing quality cast iron products is preseasoning all cast iron with its own True Seasoned Finish so it is ready to use out of the box. 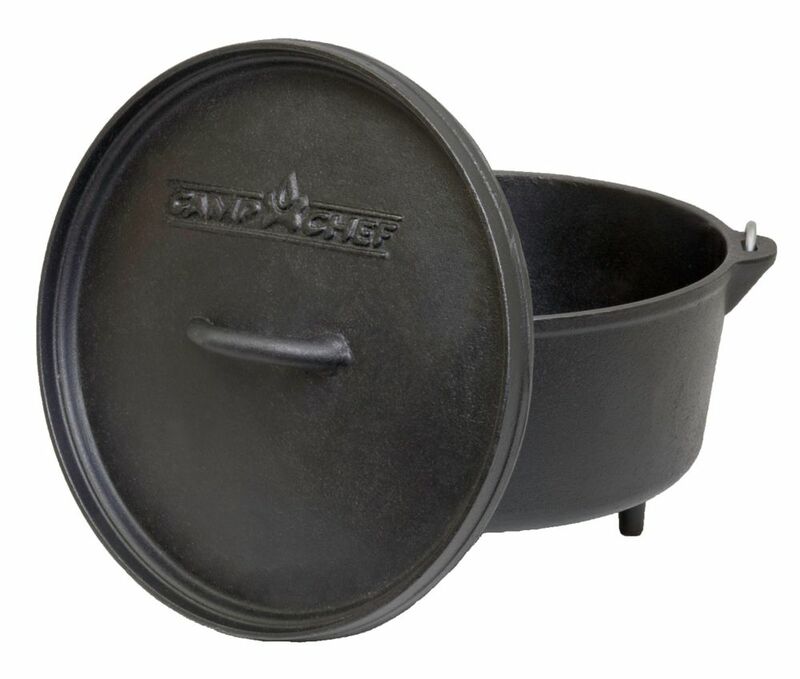 12 inch Cast Iron Classic Deep Dutch Oven is rated 4.0 out of 5 by 1. Rated 4 out of 5 by Forrest from As advertised, ready to cook with. All of my other ovens are made by Lodge. This is my first other brand oven. On receiving my oven I opened and checked out the lid fit and over-all finish. It was as advertised ready to cook with. The next evening my wife and I had invited our daughter and her family to dinner for chicken and dumplings. We deceided to try out the new Camp Chef oven cooking them. The results were great, the chicken and dumlings cooked and came out great. With results like we had. Yes, I would recommend purchasing these ovens.